Much has been said and written about the devastating floods which Storm Desmond delivered to Cumbria back in December, often followed with the exhortation to ‘please still come to visit and spend money.’ So last Sunday I took the opportunity to nip over to Grasmere for lunch. It was a glorious day, sunny and just warm enough to sit outside one of the village cafes for a late lunch, the fresh snow clad Yorkshire peaks providing an unexpected diversion on the way over. There’s clear evidence of the effort that has gone into getting everywhere back up and running, indeed, only the notices warning of the long term closures around Thirlmere and Staveley brought attention to the devastation. 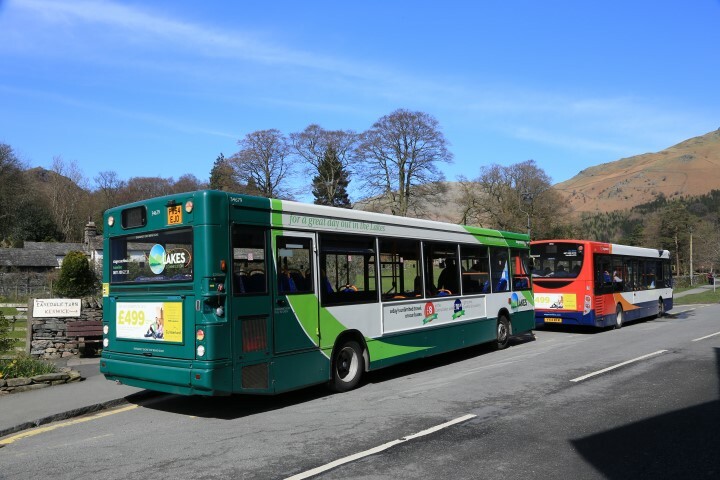 Stagecoach has been at the forefront of keeping locals and visitors moving around the area with the off (normal) road shuttle between Grasmere and Keswick. Starting with Solos, this service now requires two Enviro 200s or Darts every hour. With Grasmere having a parallel bypass road, the shuttle now performs a clockwise loop of the village to meet the Kendal bound bus which runs anti-clockwise and so saves the need for vehicles to reverse in the village. 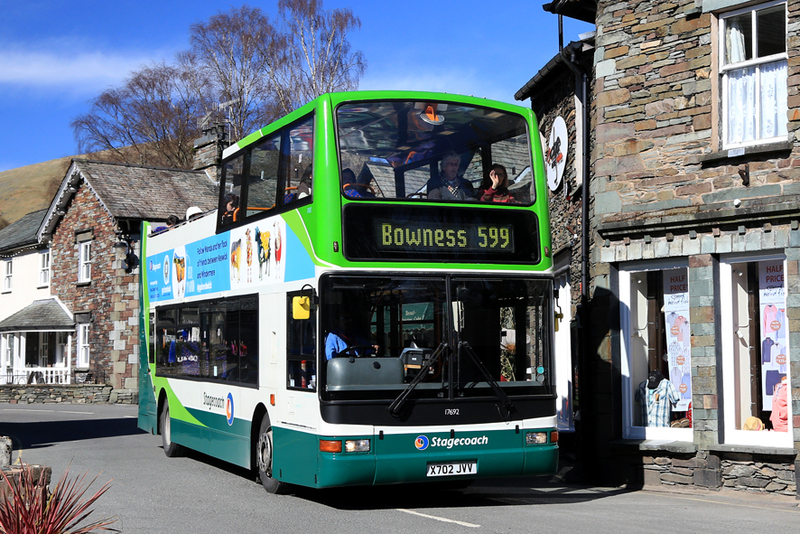 A sign that summer is on the way was the Stagecoach open top service linking Grasmere with Bowness every 20 minutes, running to time and proving quite popular. If only there had been more hours in the day….